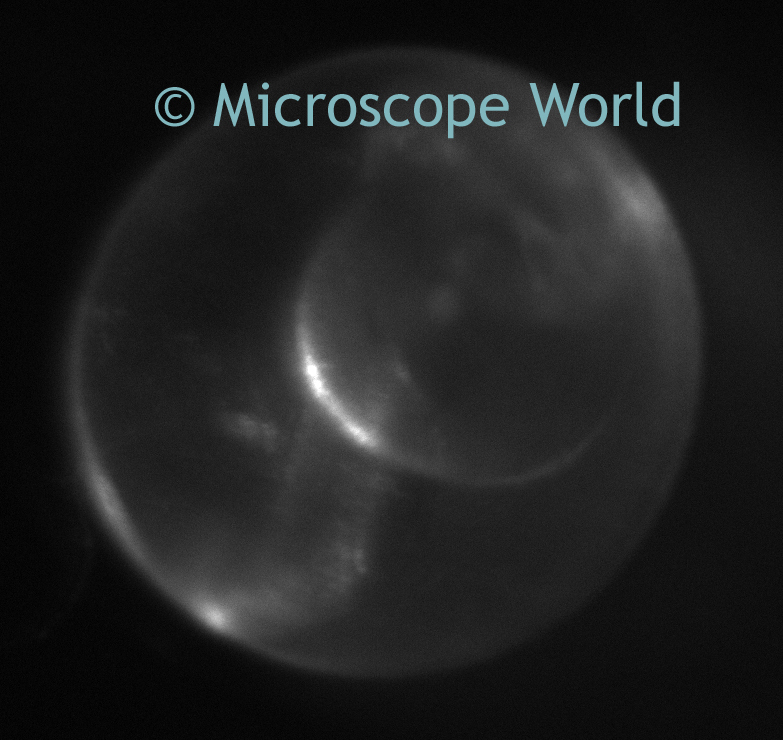 Microscope World offers an inexpensive line of stereo fluorescence microscopes. 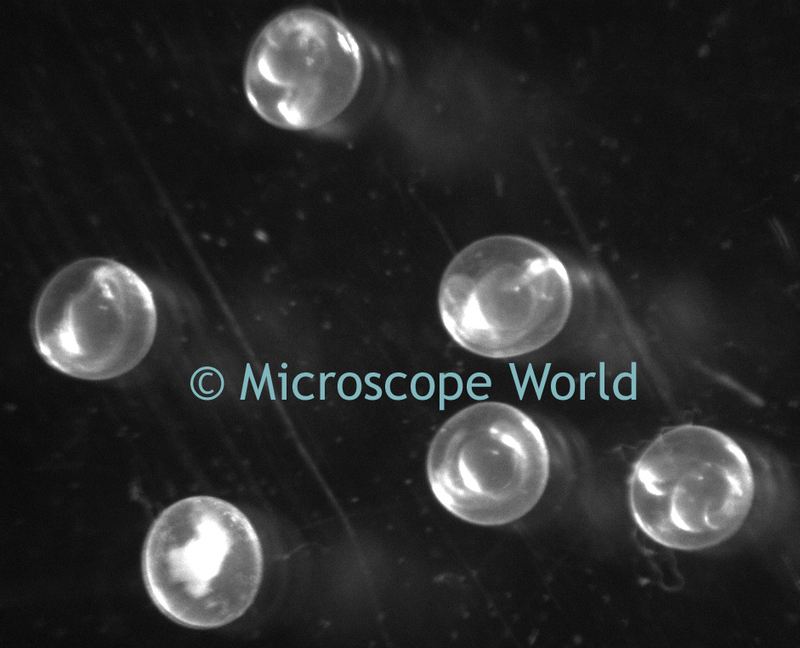 These stereo fluorescence microscopes were recently used to capture zebrafish images over the course of three days. 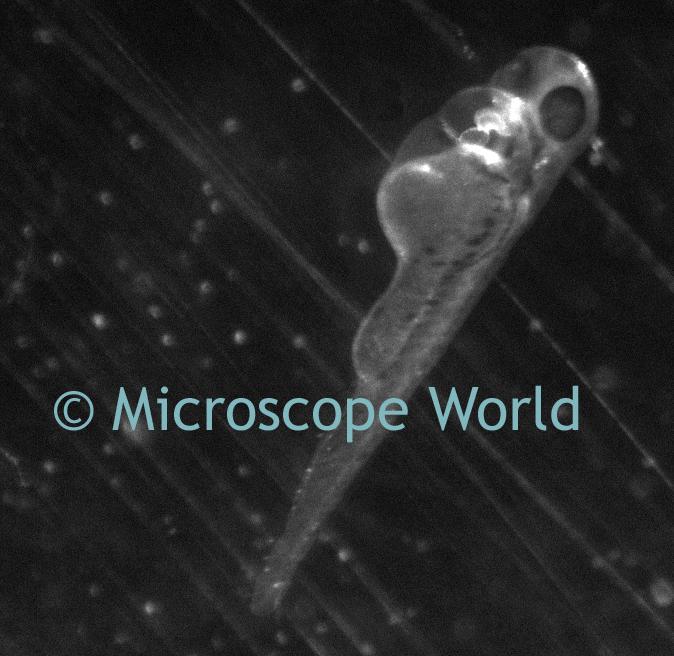 Zebrafish embryo captured at 25x magnfication. 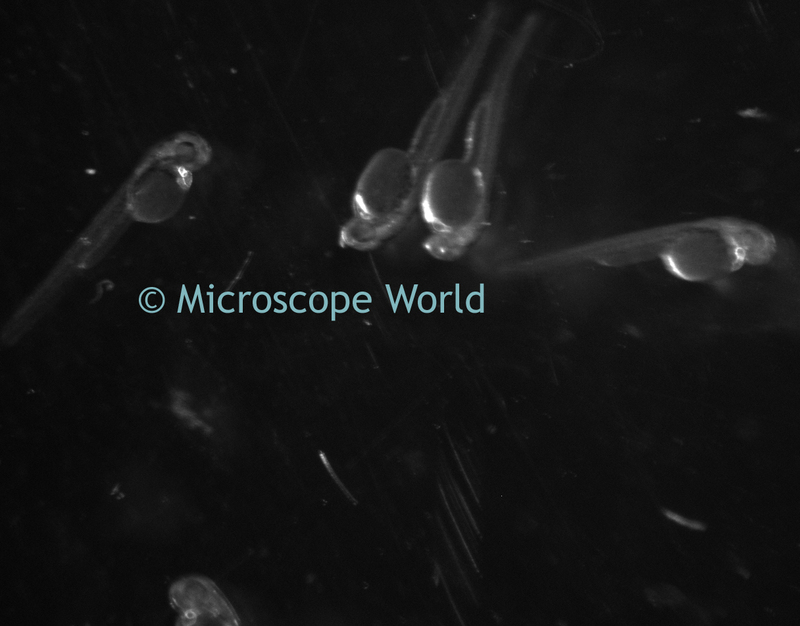 All images were captured using the stereo fluorescence microscope and a monochrome microscope camera. 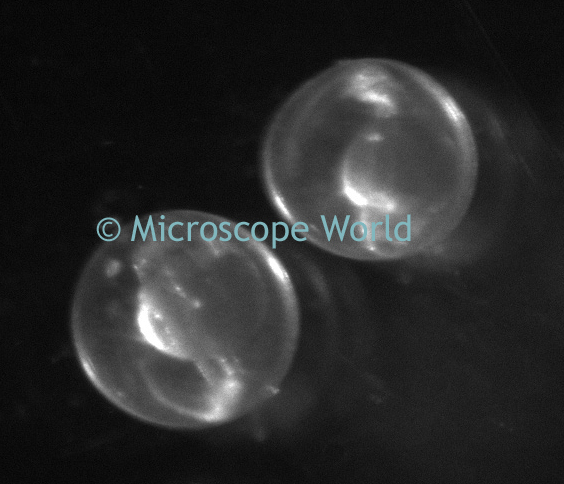 Two zebrafish embryos at 30x magnification. 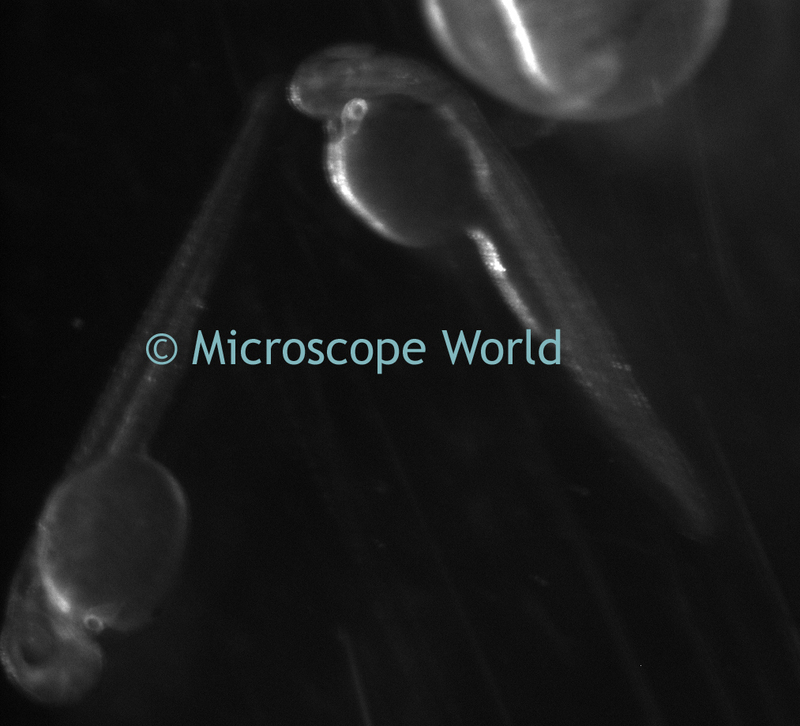 30x magnification - two zebrafish and part of an embryo on the top of the image. 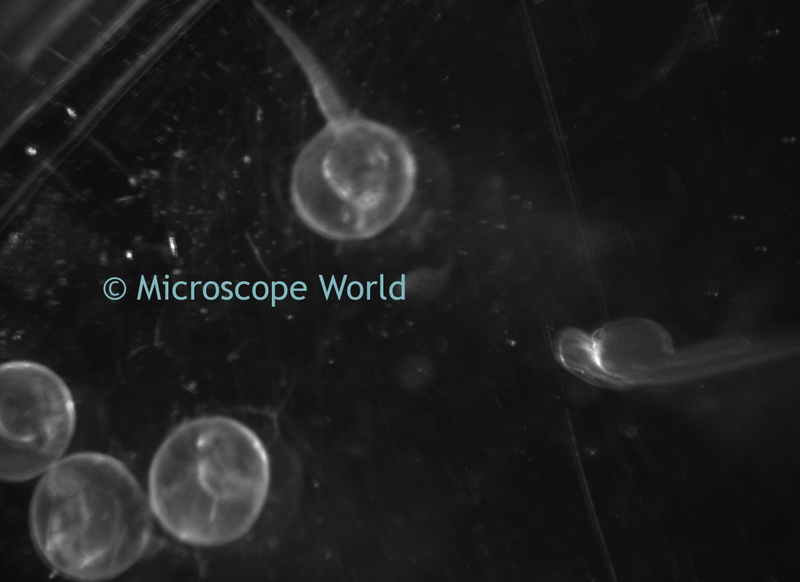 These images captured with the Lumenera Infinity 2-2 microscope camera. 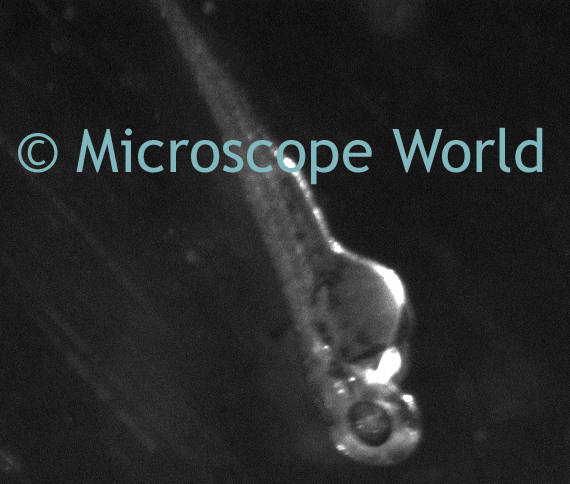 Looking more like developed fish. 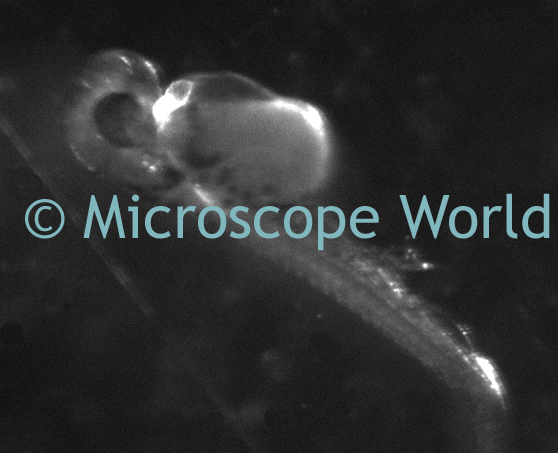 View the complete line of stereo fluorescent microscopes here.